Water jetting, or hydro jetting, technology allows the professional plumbers at Schumacher and Farley to get the condition of your home’s drains back to new. The high velocity of the water stream removes all of the debris from your home’s pipes without damaging any of the actual piping. 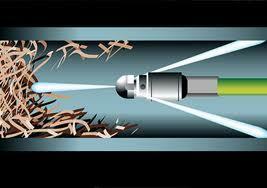 It is the most powerful and efficient way to get your home’s pipe lines and drains back into working order. Call Schumacher & Farley today to book a water jetting service with confidence! All of our drain and pipe services are backed with a 100% satisfaction guarantee.